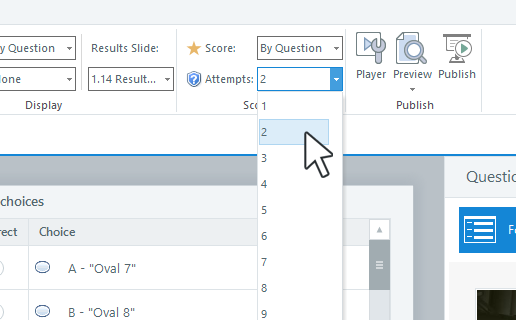 In Form View, go to the Question tab on the ribbon and use the Attempts drop-down to select a value. Tip: Only graded questions can be attempted more than once. 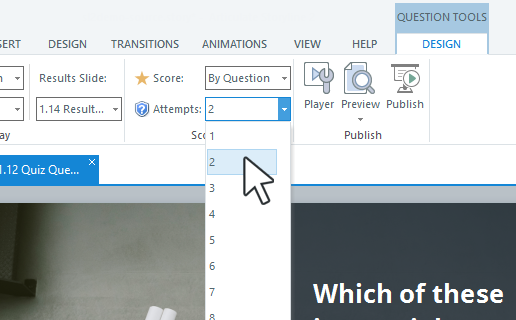 In Slide View, go to the Question Tools—Design tab on the ribbon and use the Attempts drop-down to select a value.